The Bluffs at Evergreen has beautiful apartment homes available to rent today. You will absolutely fall in love with your new home! 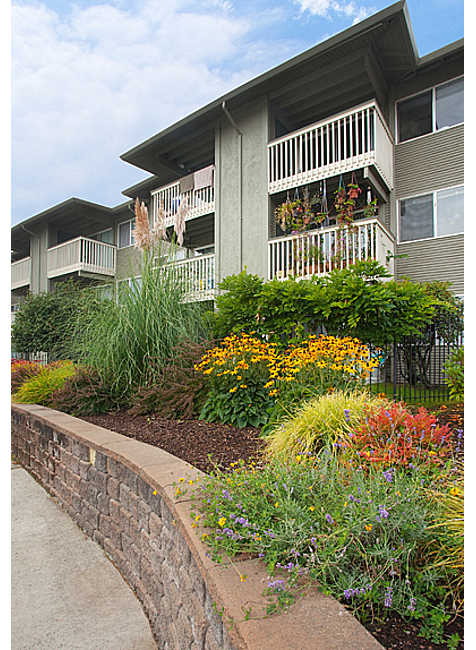 Our apartment homes are energy efficient and include water, sewer, and garbage! We are a community with comforts that welcome you, spacious floor plans, open kitchens for entertaining and after school homework club! This is a prime location for all of your needs! You can't beat the excellent location, with convenient access to everything. You will be welcomed by our efficient and caring staff, as well as our superior maintenance team! We welcome pets with a refundable pet deposit. We do have breed restrictions. We also have an off leash dog park for you and your buddy. Affordable non-subsidized rents through the Washington State Housing Tax Credit program. Rents offered to households with income below 50% and 60% of the area median income. Refer to WSHFC Tax Credit limits. We gladly accept housing authority provided Section 8 vouchers. We accept Section 8 housing vouchers. We are an affordable community, with income restrictions listed below. Each home provides oversized living rooms, roomy bedrooms with ample closet space and updated kitchens All apartments are newly weatherized, freshly painted and sparkling clean!!! Washer / Dryer Hook-ups in Select Apartments, Water, Sewer and Garbage included! Rent Detail: Affordable non-subsidized rents through the Washington State Housing Tax Credit program. Rents offered to households with income below 50% and 60% of the area median income. Refer to WSHFC Tax Credit limits. We gladly accept housing authority provided Section 8 vouchers.